Podcasts have a lot to offer to teachers looking for new strategies to keep students engaged. Podcasts are the legacy from that old radio shows, in which people talked about all kinds of topics, like politics, entertainment sciences and more. The coming of the Internet was a second air for this type of content that started to sprout out in the 2000s in digital format, but it was until 2015 when boomed into the popularity they have now. Most of the educational methods use reading as a basis. When a teacher uses the same kind of exercise to procure learning, this can cause attention fatigue in the students and makes it harder for them to concentrate and fully absorb the knowledge. Podcast offers a change of pace and help to keep students engaged in class. They also train their listening skills, enables conversation, puts the subject into context and reinforces learning. They are also an excellent resource for visually impaired students and people with learning disabilities. To master another language students must be able to listen to it and understand it. That’s why podcasts are excellent tools to exercise this skill. Teachers can also include students in the selection process to find a podcast for the class, allowing them to take control of their learning and take ownership of the educational experience. Podcast are available 24/7; users can access them from anywhere from an internet connection. The library of subjects they cover is so vast that is virtually limitless. It is safe to say that there is a podcast about every topic a student needs to learn. The wide variety encourages students to take a more active role in their learning process. It also enables innovative educational models like the flipped classroom, learning commons and lifelong learning, among others. The addition of podcasts in educational materials takes the conversation into the use of new technologies, a matter in which young students are usually well versed, so it opens the door to make the selection process fun and equitable, producing a friendly, relaxed environment in the classroom, and facilitating dialogue and empathy among students and with their teacher. Podcasts with academic or educational content usually get their information from a variety of sources, and a lot of them quote them, giving the students the chance to do further research and gain a better knowledge of the subject at hand. Research and discussion in class is the best way to learn how to be critical of the information we get and fact-check it. 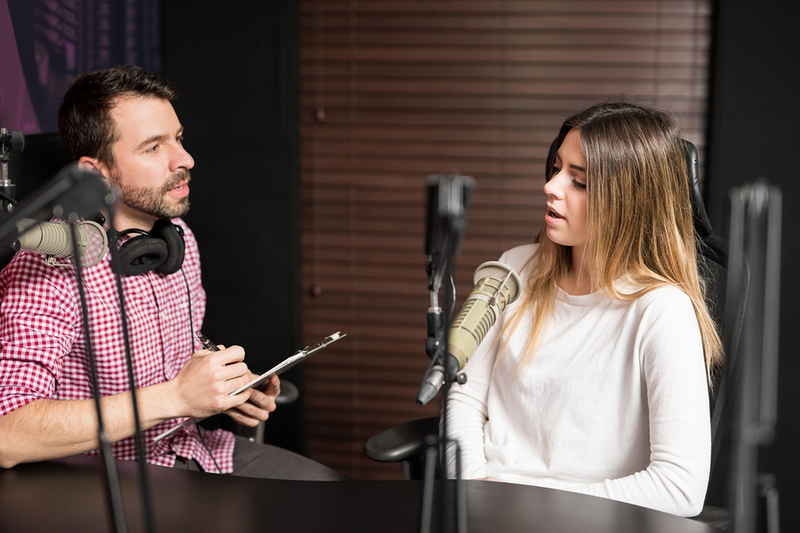 Up until now, the popularity and variety of podcasts are still on the rise; this is why schools of all levels can benefit from integrating them more seriously to educational strategies. Do you use podcasts in your class? Do you participate in any? Do you have some podcasts that you want to recommend with our readers? Feel free to share on the comments section below.